Ahmedabad: Gujarat Science City and Gujarat Council on Science & Technology (GUJCOST), both working under the aegis of the Department of Science & Technology, Government of Gujarat have been conferred with ASSOCHAM Global Industry and Academic Excellence Awards 2017 for best organization for promotion of Science & Technology for the year 2017 categories respectively. 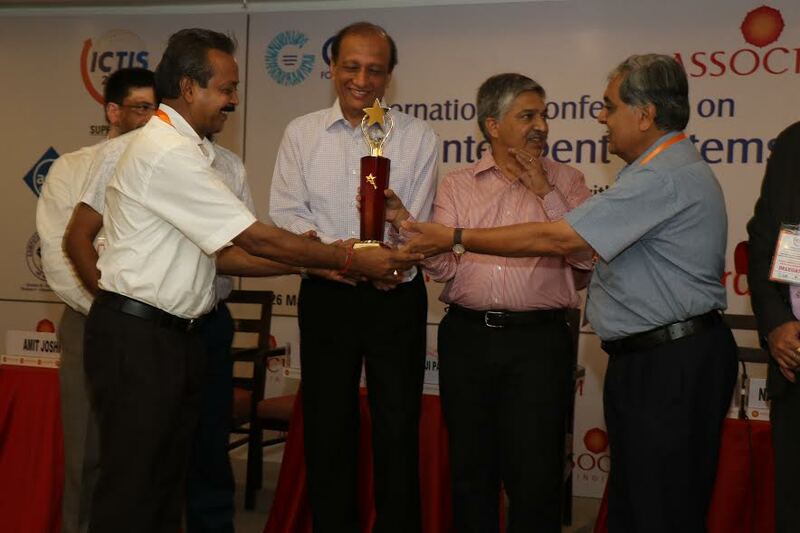 The awards have been conferred during the inaugural function of the Second International Conference on ICT for Intelligent Systems (ICTIS 2017) held at Hotel Pride Plaza, Ahmedabad on Saturday, 25th March 2017. While Gujarat Science City has been conferred with the best organization for Public Understanding of Science for the year 2017, GUJCOST has been selected for the best organization in Sustainable Development Outreach Activities for the year 2017. Dr. Pankaj L. Jani, Vice Chancellor of Baba Saheb Ambedkar University handed over the award in presence of Shri Sunil Shah, Ms. Bhagyesh Soneji, Chairperson, ASSOCHAM Gujarat Council, Chairman, Gujarat Innovation Society, Mr Vivek Ogra, President GESIA, Dr. Amit Joshi, Secretary, ICTIS 2017. There were 18 award categories and a total of 242 technical papers are selected for presentation during the two days conference. Shri S. D. Vora, Executive Director, Gujarat Science City and Dr. Narottam Sahoo, Advisor GUJCOST received the awards and certificates during the inaugural session of ICTIS 2017.. The Associated Chambers of Commerce & Industry of India (ASSOCHAM), the knowledge architect of corporate India, facilitating reach of India to all businesses and academia around the globe, for their excellence and innovation as change maker.